We have officially been paci-free for a week. And what a week it's been! It's been a little rough. I use that word loosely. Very loosely. Anyway, last Sunday night the Paci Fairy came and took both of the girls' pacis away to give to the new babies at the hospital. Then she very generously left them each a special toy and a note congratulating them on their rise to "big girl" status--you know, since they unwillingly gave up their beloved pacis. Josie had one bad night (like, really bad). But she has steadily gotten better and no longer wakes up every other night fussing for her paci! I'm sure she doesn't even remember it anymore. Complete success! The bottle, on the other hand, she is missing. Girlfriend won't drink milk anymore without it. She's going strong after two weeks without the bottle! In a moment of temporary insanity, I asked our pediatrician if I should reintroduce the bottle so our little Skinny Minnie could get some more calories. Her answer was a resounding no. At least one of us was in our right mind. Holly, on the other hand, is having a tougher time. She was doing great the first night or two, but then she started showing all the signs of paci withdrawal: tantrums, sleeplessness, and general crankiness among other things. She told me a few days ago that the Paci Fairy was going to come back, give her the pacis, and take away her special toy. Sorry, but that's not how it works! Last night Holly woke up around 3:15 a.m.--you know, just awake. She came into our room and I woke up to her standing next to the bed. Well, one thing led to another and before I knew it we were in the living room at 4:30 a.m. having a snack. I honestly don't know what happened. Then I made her a little bed at the foot of our bed and that is where she currently lies, fast asleep. I, on the other hand, am awake with Josie. Bleary-eyed and not loving life. Anyone have any tips on how to get a two-year-old back to sleep without her beloved paci? Oh dear Katie that does NOT sound like fun. Sorry I have no tips, Ellie would never take a paci. I hated it when she was a new born but I guess it's nice now :) good luck!! Go to Build-a Bear and have her choose a stuffed animal to put her binky in, and then she can sleep with the animal and still feel that her paci is inside it. Good luck! We had a binkie cutting ceremony with Derek. My husband helped him cut the tips off the binkie. When he tried to put it in his mouth, it wasn't quite long enough to be sucked on. Then we helped him throw them in the trash (and took the trash out immediately). Good luck, Katie!! We gave our kids a stuffed animal lovie as well as a binkie from the time they were newborns. Rigden just stopped using a binkie when he was 8 months old and sucked his thumb instead(which he still does sometimes...at least you can take a binkie away...can't really chop a thumb off). Emree started chewing holes in her binkies when she was about 18 months old so we had to take them away before she chewed off a piece and choked on it. But since she had a stuffed animal lovie that she already took to bed with her, giving up the binkie (or mimi as she called it) wasn't too horrible. 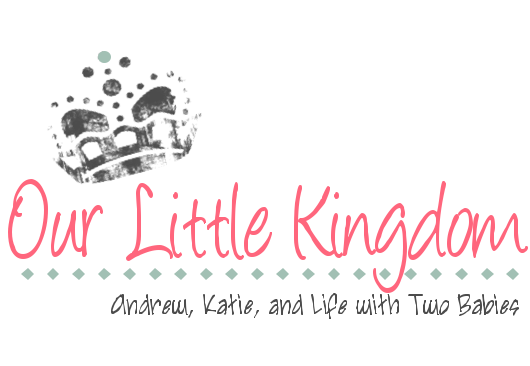 I don't know if your kiddos have a lovie they go to bed with, but if not maybe it would help. Good Luck and I hope you get more sleep! !